Lots of ribbon, lots of color and lots of love went into this pretty girly girl diaper cake! The fun colors and curly ribbon make it a very cute and festive addition to a baby shower. One of our awesome readers shared this lovely diaper cake with us and added her creativity to our diaper cake photo gallery. 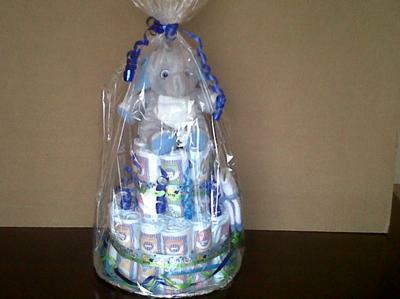 Thanks for sharing your fabulous diaper cake! 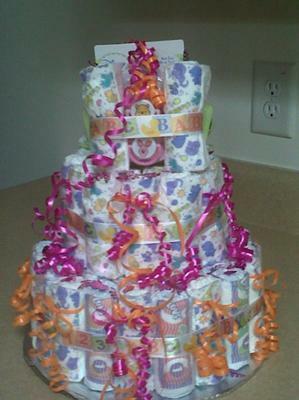 It's a 3 tier diaper cake with beautiful colored ribbon.